The spokesperson of our ruling party, the BJP, had recently given a speech on Foreign Policy in a prestigious University-College in Pune, which is considered to be a premier educational city in India. The spokesperson was also the Nationalist Party’s national General Secretary, and who was also an RSS Rashtriya Swayamsevak Sangh pracharak. At the outset, he started off by quoting “Lord” Palmerston and Kissinger in his message to the well-heeled students of this college. “There are no permanent friends” said he……………………”Pragmatism” said he……………………….”Hillary Clinton said Look East”…………….” so India should Look East” said he…. Did no student of this prestigious college, located in India’s premier educational city, ask him any basic question on the history of either Palmerston or Kissinger? If no, they are not fit to be students. Students who do not learn by questioning are not worth the money their parents spend on them. Does the spokesperson know, or does he not know, that Palmerston is a key figure of the historical British Anti-Russia Policy? Does he, or does he not, know that the Palmerston Doctrine is responsible for all the dreadful wars in Central Asia, including the fragmentation of India? Does he, or does he not, know that Palmerston played a key role in the Opium Wars that devastated the Chinese people? If he does not, his advisory group and his speech-preparers are not fit for their job. Did no student of International Relations tell the spokesperson that by starting off quoting “Lord” Palmerston and Kissinger and making them the basis of your speech, you are instantly making enemies with both the Russians and the Chinese? If no, they are not fit to study International Relations. Did no Women present there (including the Lady Principal) remind the BJP spokesperson that Kissinger was the one who had used filthy, unspeakable language against our own Woman Prime Minister (Madam Indira Gandhi) in the context of her protecting India in the 1971 war? Did no Women present there tell him that to quote Kissinger inside India – that too on foreign Policy- would be an appalling insult to Mrs. Indira Gandhi as well as to all the Women of India? If no, these are Women who are not fit to follow the footsteps of Mrs. Indira Gandhi…What a shame on them! Did no RSS rashtriya “swayamsevak” politely tell the BJP spokesperson that instead of quoting Palmerston and Kissinger, he ought to quote an Indian Authority on International Relations. Or shamelessly do they admit that we have no such authority at all? At least being a RSS-pracharak he could have quoted Hedgewar or Golwalkar. If no, they are not fit to be “swayamsevaks”…whatever this word might mean. Did not the head of the RSS Rashtriya Swayamsevak Sangh, discuss this matter with the spokesperson? 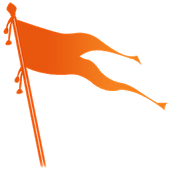 If no, the RSS ought to question whether any blood is flowing to its head, unless of course RSS Rashtriya Swayamsevak Sangh stands for either “Rashtriya-Stupid-Sangh” or for “Royal-Sevak-Sangh of Her Majesty the Queen of England”—which it more likely is; or a combination of both—which it certainly is. The Defense Minister had attended the birthday party of the RSS head. While spending time with the birthday-boy, did he discuss the matter with head of the RSS Rashtriya Swayamsevak Sangh? The spokesperson had said in the same speech that China is militarily far ahead of India, is then creating an open enmity with both China and Russia not a concern referable to the Defense Ministry? Should not the Defense Minister take note and correct both the spokesperson and the RSS-chief? If no, who else should be correcting the RSS Rashtriya Swayamsevak Sangh chief on this? Did no “Indian-pragmatist” tell this gentleman that suggesting that “India should look East” because “Mrs. Hillary Clinton says so”, may not be so pragmatic after all, since Mrs. Clinton had just lost the election and is potentially facing serious charges? And anyway, shortly thereafter UNESCAP, the UN-controlled body would ask India to start looking west. Did no “Indian-pragmatist” tell this spokesperson that Kissinger had supported everything that Trump had campaigned against, and that he was against everything that Trump had campaigned for? Although of course Kissinger and Trump would finally anyway work together to make America a Great Nation (which it should be), quoting Kissinger at this juncture, could potentially antagonize Trump? Did no Indian-pragmatist tell this gentleman that the Americans are far more adept at the art of Pragmatism than the Indians are? Pragmatism is for people who know who they are, know what they want, know what they can do, and how to avoid themselves being destroyed by it. It is not for a country or people whose spokesman posits himself on the quotes of “Lord” Palmerston and Kissinger, and suggesting that India should look East because Hillary Clinton said so – without even knowing the basic history of these figures. That we are in no condition to play this game of Pragmatism, and if we try to do so, we will be wiped out, not to mention be hated the world over – as we already are for our wishy-washy stand on several international issues? If no, they are no Indians fit to be “pragmatists”. In the 1971 war, India was about to be trisected and torn apart by the American Seventh Fleet from the East, the Royal Navy from the West and by the Kissinger-instigated Chinese from the North, when we were moments away from destruction, it was the Silent Russians who decided “we cannot stand by and watch our Indian friends be destroyed” and ringed us with their submarines and averted our destruction. And this BJP spokesperson says “we have no friends” while simultaneously quoting Palmerston and Kissinger who are not only the arch-enemies of the Russians but also those who have also divided and destroyed us? Did no moral authority in India tell this spokesperson of our National Ruling Party that it is the height of shamelessness for India to take this position? If no, then no one is fit to be a moral authority in India. Within hours of Turkish Prime Minsiter Erdogan regaining control in the coup-attempt against by in Turkey last year, by the followers of Fetullah Gulen, Turkish authorities contacted India in an attempt to control the followers of Fetullah Gulen, who they knew or claimed are sheltered in vast numbers inside India. Both the Turkish Ambassador to India as well as the Turkish Foreign Minister had met with the head of our MEA and requested that the followers of Fetullah Gulen who are being sheltered in India be sent back to Turkey. What are we hearing?? That India is the main bastion for the followers of the Fetullah Gulen movement which incited the coup in Turkey? To have been able to instigate and start the coup in Turkey, it must have been a very large organization, built over several years. Since how long have the followers of Fetullah Gulen been entering India? On what passports, on what visas have they entered? Who is giving them shelter? How are the funds reaching them? How are they communicating back with their control centers? Where are their control centers? Are we going to say the control centers are in Pakistan? Have they been issued Aadhaar cards? They are known to have infiltrated several of the institutions of the Turkish society, including the army, the judiciary, the universities etc..What would be then their predicted behavior in the much softer Indian society? In addition to the followers of the Fetullah Gulen Movement, which other organizations involved in the middle-eastern quagmire have their followers being given shelter in India? Did no Student ask any such question? Did no Faculty member there ask any such question? What are the moral issues involved in giving them sanctuary? Or to be “pragmatic”, to use the same words of the spokesperson, what is the danger that giving them shelter poses to the Indian Society? The Indian people had to hear this for the first time from the Turkish Ambassador and then the Turkish Foreign Minister? Did not a single member of our Internal Home Security bring this to our attention before the Turks did? Did nobody from the RAW, the Home Ministry, or the MEA warn the people of India or their elected leaders? It would seem that our Internal Security needs significant overhauling. Or should we assume as the MEA seems to suggest–without and proof, reason or discussion — that the Turkish Ambassador and the Turkish Foreign Minister are lying? What do the Turks benefit by lying on this count? Even if we do not believe the input from the Turkish Ambassador or Foreign Minister, is it not the duty of the Internal Home Ministry to increase the investigation into this matter? Or is the complete Political Security Establishment as well as the Internal Security Establishment party to this matter? Yes, for safety reasons, it may be true that the Internal Security Apparatus may claim that they cannot publicly speak about these details, but this rule does not apply to the other sections of society. Anyway, the fate of their “classified” dossiers is shown below. The ludicrousness of the MEA’s premise that Turkey has not provided enough evidence, is its mirror image in the Indian question to Pakistan: The Pakistanis have long been asking the Indians for solid evidence in the 26/11 case, Samjhauta case, the Malegoan blasts; and has then stated exactly what the Indian MEA said to Turkey: “India has not provided us with any critical evidence so we can’t prosecute them.” And on the basis of this, most Indians in righteous indignation think that the Pakistanis are liars and Indians accuse the Pakistanis of sheltering the terrorists and lying about it on top of that. Well, can’t Turkey make exactly the same accusation against India — That India is harboring ISIS terrorists and telling lies to the rest of the world about it? The “classified” dossier but by now publicly available, (speaks volumes of the safety of our classified documents!!) 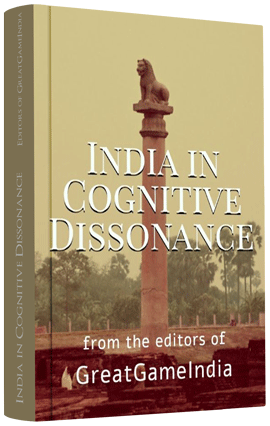 of the evidence provided by the Government of India on these issues looks like a childish joke, bordering on the parameters of extreme naivete or of intellectual-cognitive dissonance. But did the either the students or the faculty members of this elite International University at Pune, ask the BJP spokesperson, who is also the National General Secretary of the party, any question regarding this very dangerous phenomenon that is not coming from the region where he said the future dynamics belongs? If no, as said earlier, they are not fit to be students, nor are the faculty members fit to be faculty members. This spokesperson instead of showing his party as a Nationalist Party that stands for a strong and independent India has instead created the tragic projection: BJP=British Janissary Party. Let us now turn away from him. After all, this poor ill-advised gentleman may be the spokesperson of our ruling party, but still he is not all of India. Read next Section 2: Information Technologists…or ill-informed Monkeys?